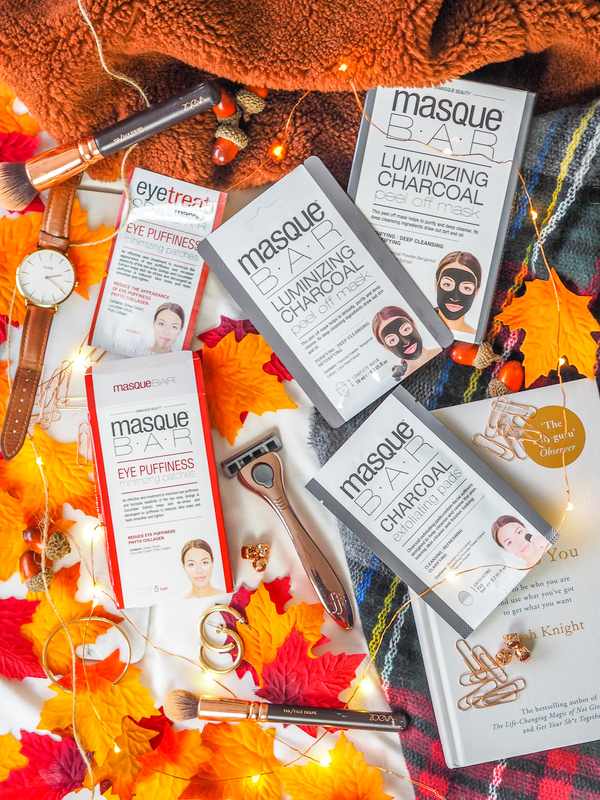 What’s better than a good old cosy pamper on a cold autumn evening? I always find myself reaching for face masks and other goodies when winter rolls around. Not only does my skin hate the colder weather, but winter means Christmas which means a lot more events I’ve got to be looking my best for! Recently I was sent a few Masque Bar products to try in my evening routines. 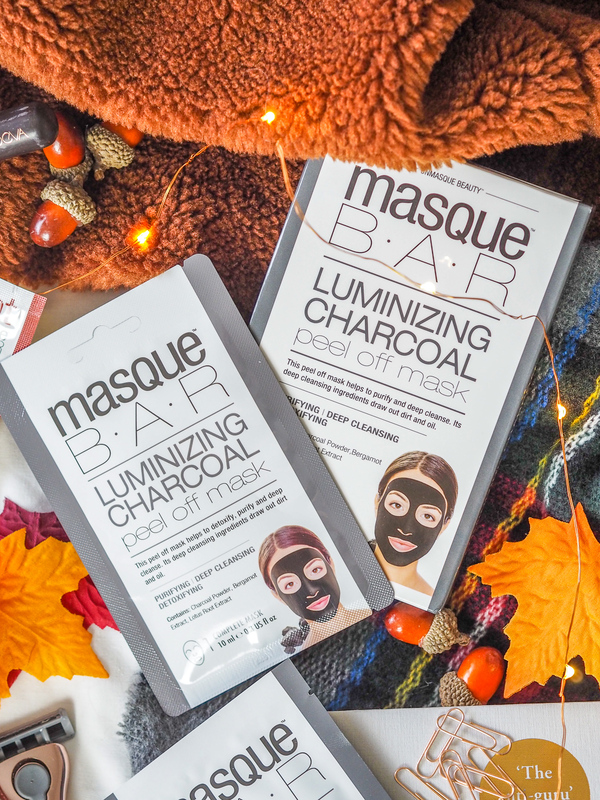 Masque Bar specializes in Korean face and body masks, having travelled the world to understand the best products for making a difference in beauty regimes. Although I’d heard of the brand before, I never realise how extensive their range is. They’ve got your standard face masks, but they’ve also got neck, hand, foot and other skincare products too. The products I received in the post were the Luminizing Charcoal Peel Off Mask, the Eye Puffiness Minimizing Patches and the Charcoal Exfoliating Pads. The first product I tried from the pack was the only mask I received, a classic charcoal peel off mask. In the box, there were 3 sachets. It advises applying a thick opaque layer and waiting 20-30 minutes to wait for it to dry, like most charcoal masks I’ve tried previously. The mask is said to detoxify, purify and deep cleanse to draw out dirt and oil. I love a peel-off mask because I feel like it really does draw out all the impurities from your skin. 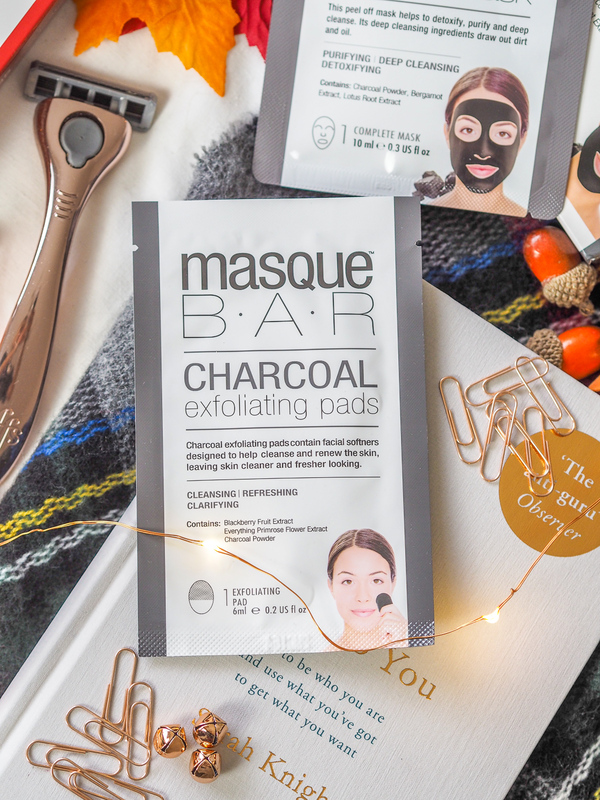 On first impressions, this mask isn’t much different to any other charcoal peel-off masks I’ve used. The sachet can be a bit messy – I much prefer masks to be in a tub or tube. Not just because this is less messy, but also because you can control how much product you use. I didn’t use the whole sachet to cover my face but it’s unlikely that I’d keep the leftover product and use it another time. After 30 minutes the majority of the mask peeled off quite easily, with a bit of residue left on my face which was easily washed off. My skin felt smooth and cleaner, the longer-term effects though, I’m not sure of. Next up, I tried the exfoliating pads. These are meant to cleanse, refresh and clarify the skin. They’re charcoal exfoliating pads containing facial softeners designed to help cleanse, renew the skin and leaving skin cleaner and fresher looking. Ingredients include blackberry fruit extract, primrose flower extract and charcoal powder. I found using this a bit of hassle. The concept is great, but in practice, it’s a bit naff. The pad is sock-like with space to place your fingers in which is usual, but working out how to use this was difficult. The pad supposedly has 2 sides, a rough and a soft side, the rough to be used first, followed by the soft. I struggled to know the difference, however, so was just using both randomly. You can feel the rough texture exfoliating, but it’s not too tough which is a big win – this definitely isn’t a product that’s going to be too harsh for your skin. After rubbing into your skin, you’re left with a lot of black residues to wash off. The end results? I’m not sure. If I had a few more of these pads gifted to me I’d be keen to try them a few more times just to see if I could get the hang of them, but otherwise I don’t think this is something I’d go out actively and buy. The last product was a box of eye puffiness minimizing patches. I know some people who can’t survive without eye patches, but I’ve never really been one for them. As the name suggests, this is a treatment to minimize eye puffiness and increase the elasticity of the eye area. It contains ginkgo and cucumber extract which helps skin de-stress and decongest so puffiness is reduced. I don’t suffer from puffy eyes a great deal, so perhaps this wasn’t the best eye product for me. I know they do patches for dark eye circles which may have suited me much better. Nonetheless, I have enjoyed using them. Of the 3 products, they’re obviously the least messy and really easy to use. I chuck a pair on when I wake up and leave them for 30 minutes while I eat my breakfast and get sorted for the day. On application, they feel cool and refreshing, and not uncomfortable at all. I can’t really comment on the results on these, because I can’t tell if there were any. I did really enjoy using them though, and it’s tempted me to give the dark circle versions a go next. 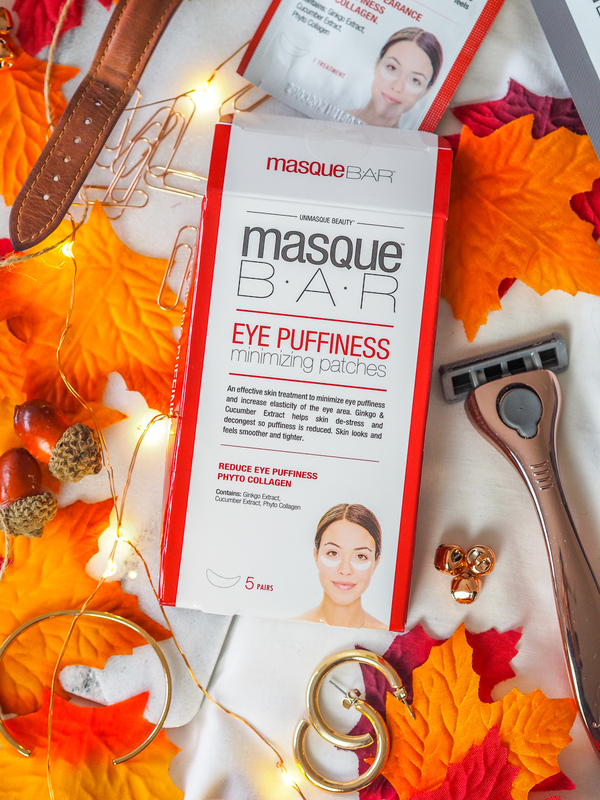 Have you tried any products from MasqueBar before? What do you think of the ones I tried? "Can bloggers lead a private life?" "Another product from Pixi: The Peel and Polish"